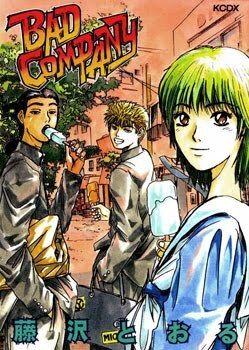 A short prequel to Shounan Jun'ai Gumi and pre-prequel to GTO about how Onizuka Eikichi and Danma Ryuuji meet. Pantyshots and gratuitous asskicking galore. This manga was added as an add-in to Shounan Jun'ai Gumi and later rereleased separately. Some time later GTO came out and the two prequels became more famous.